Phuwiangosaurus (meaning "Phu Wiang lizard") is the name given to a genus of dinosaur from the Early Cretaceous. It was a titanosaur which lived in Thailand. 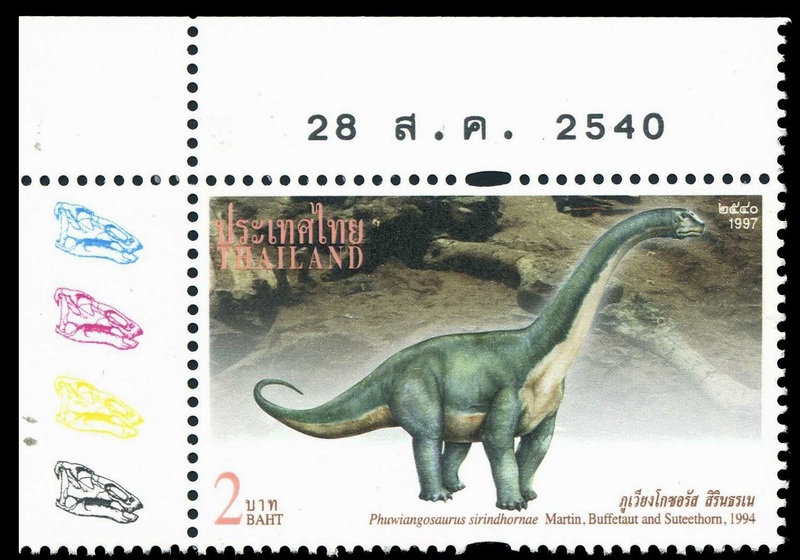 The type species, P. sirindhornae, was described by Martin, Buffetaut, and Suteethorn in 1994; it was named to honour Princess Maha Chakri Sirindhorn of Thailand, who was interested in the geology and palaeontology of Thailand. It was around 27.1 m (90 feet) long. 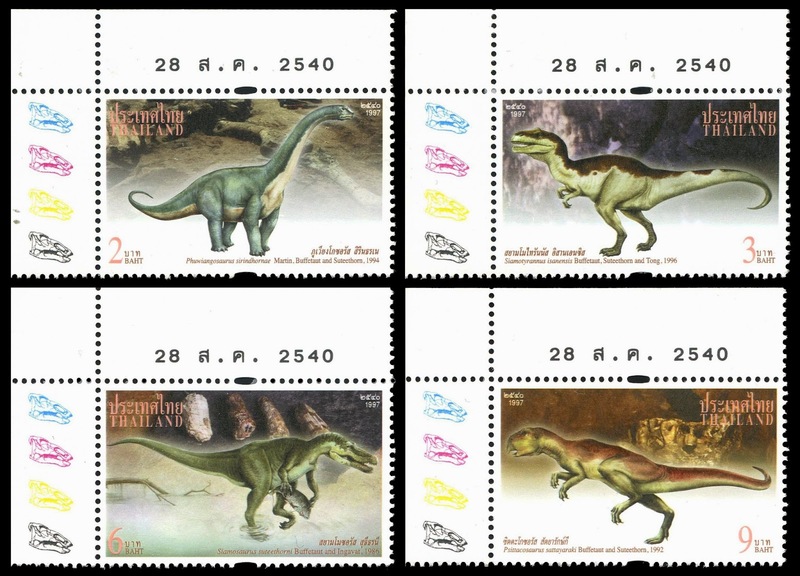 On 28 of August 1997, Post Authority of Thailand issued a set of four stamps shows reconstructions of dinosaurs fossils of which found in Northeastern part of the country. MARTIN, V., BUFFETAUT, E. and SUTEETHORN, V. 1994. 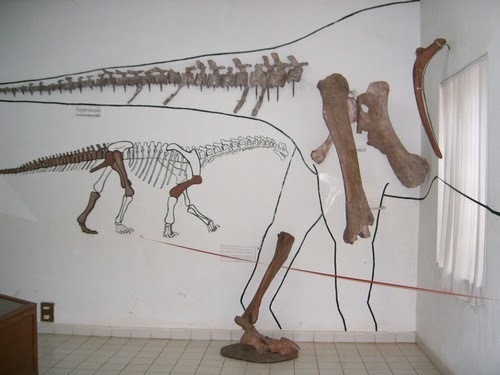 Un nouveau genre de dinosaure sauropode de la Formation Sao Khua (Jurassique supérieur ou Crétacé inférieur) du Nord-Est de la Thaïlande. [A New Genus of Sauropod Dinosaur from the Sao Khua formation (Late Jurassic or early Cretaceous) of northeastern Thailand] Comptes Rendus de l’ Academie des Science de Paris. 319(2): 1085-1092. 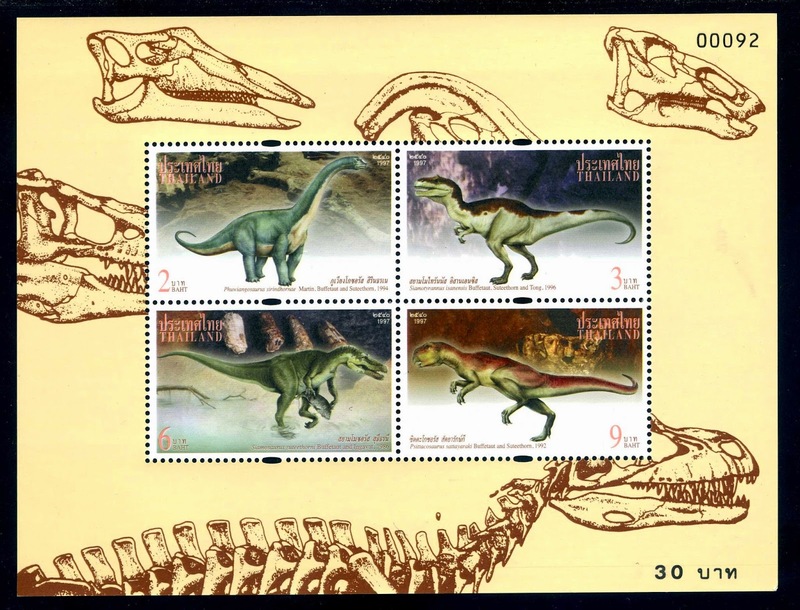 Tangvayosaurus (meaning 'Tang Vay lizard') is a genus of sauropod dinosaur from the Aptian-Albian age Lower Cretaceous Grès Supérior Formation of Savannakhet, Laos. It was a basal titanosaur, about 50 feet long, and is known from the remains of two or three individuals. Allain, R.; Taquet, P.; Battail, B; Dejax, J.; Richir, P.; Véran, M.; Limon-Duparcmeur, F.; Vacant, R.; Mateus, O.; Sayarath, P.; Khenthavong, B.; and Phouyavong, S. 1999. Un nouveau genre de dinosaure sauropode de la formation des Grès supérieurs (Aptien-Albien) du Laos [A New Genus of Sauropod Dinosaur from the upper Grès Supérior Formation (Aptian-Albian) of Laos]. Comptes Rendus de l'Académie des Sciences à Paris, Sciences de la Terre et des Planètes (in French) 329 (8): 609–616. Bos cf. 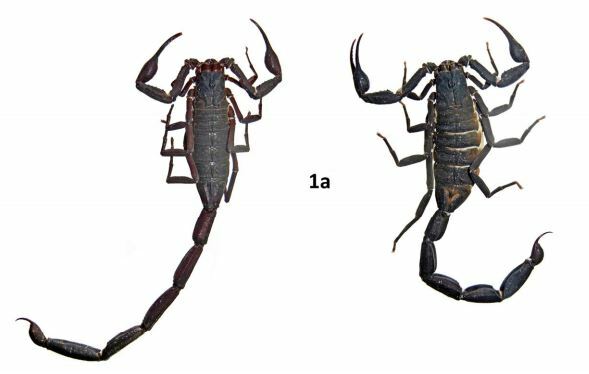 sauveli (a) left P3 (TH455), (b) left d4 (TH544); Panthera tigris ssp., (c) right p4 (TH133); Arctonyx collaris cf. rostratus, (d) right M1 (TH119), (e) right M1 (TH120); Sus scrofa, (f) left M3 (TH417); Sus cf. barbatus, (g) right M3 (TH414). 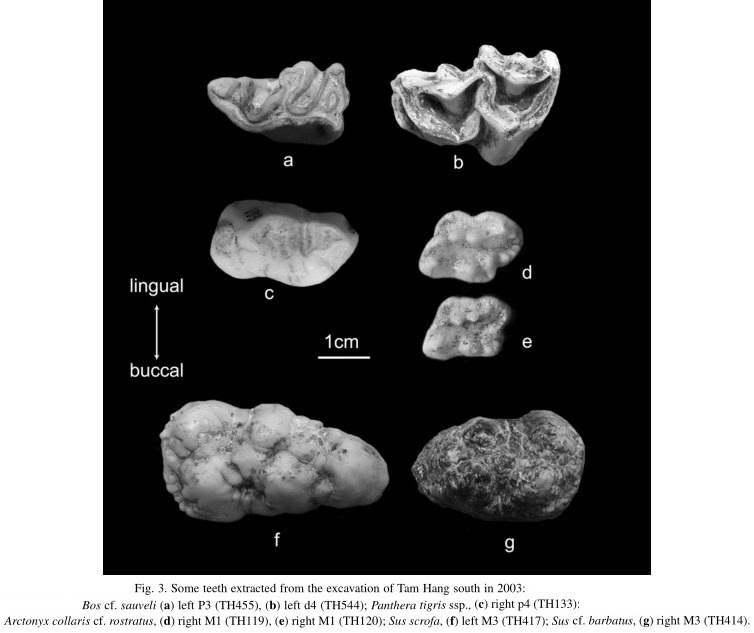 Tam Hang, located in northeastern Laos, in the Hua Pan province, is a reference site not only for its numerous archaeological and human remains, but also for its two faunal assemblages, whose composition suggests different dating in the Pleistocene. Discovered in 1934 by Jacques Fromaget, a new excavation of the site has been undertaken in 2003. 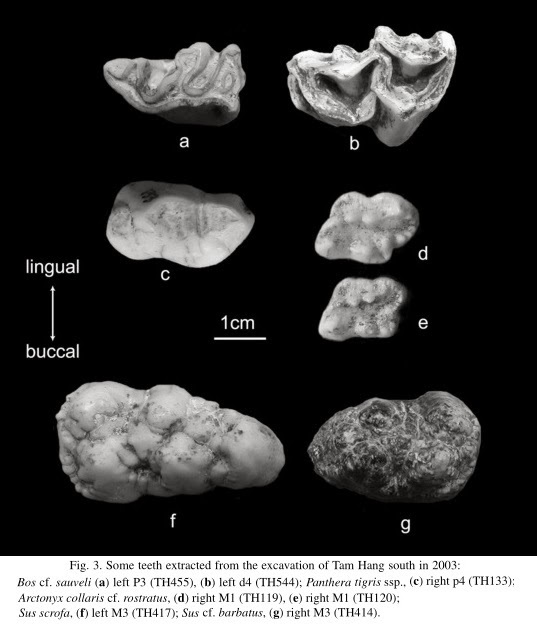 During this campaign, at Tam Hang south, 575 isolated teeth of mammals were extracted from a deep layer of calcareous breccia. This assemblage corresponds to that one described by Arambourg and Fromaget [C. Arambourg, J. Fromaget, Le gisement quaternaire de Tam Nang (Chaîne Annamitique septentrionale). Sa stratigraphie et ses faunes, C. R. Acad. Sci. Paris 203 (1938) 793–795. ], as characterized by the presence of Ursus premalayanus, and the rarity of Pongo pygmaeus. Systematics and analysis of teeth show that this new assemblage is composed of archaic subspecies, characteristic of the Middle Pleistocene. The faunal composition suggests ecological conditions also found in other Pleistocene sites of the South-East-Asia mainland area. Finally, the analysis of the process of preservation and deposition enables a brief description of the taphonomy specific of karstic systems. Tam Hang, localisé dans le Nord-Est du Laos, dans la province de Hua Pan, est un site de référence, non seulement pour ses nombreux vestiges archéologiques et humains, mais aussi pour ses deux assemblages fauniques, dont le contenu suggère des âges différents dans le Pléistocène. Découvert en 1934 par Jacques Fromaget, son exploitation a été reprise en 2003. Lors de cette nouvelle campagne, nous avons extrait de l'épaisse couche de brèche calcaire qui affleurait massivement à Tam Hang sud, 575 dents isolées de mammifères. Cet assemblage correspond à celui qu'Arambourg et Fromaget [C. Arambourg, J. Fromaget, Le gisement quaternaire de Tam Nang (Chaîne Annamitique septentrionale). Sa stratigraphie et ses faunes, C. R. Acad. Sci. Paris 203 (1938) 793–795.] caractérisent par la présence d'Ursus premalayanus et par la rareté de Pongo pygmaeus. La détermination systématique et l'analyse des dents montrent que cet assemblage comprend plusieurs sous-espèces archaïques, typiques du Pléistocène moyen. La composition de la faune suggère des conditions écologiques que l'on retrouve également dans les autres sites pléistocènes d'Asie du Sud-Est continentale. Enfin, l'analyse des processus de conservation et de dépôt permet de rappeler brièvement quels sont les facteurs taphonomiques spécifiques des milieux karstiques. A new bicarpellate Buxus species, Buxus sirindhorniana W. K. Soh, M. von Sternburg, Hodk. & J. Parn., is described from northern Thailand. This is the first reported bicarpellate species of Buxus. The pollen morphology and the degree of pollen viability of the species are reported. DNA was extracted from herbarium samples and the internal transcribed spacer (ITS) region of nuclear ribosomal DNA sequenced. 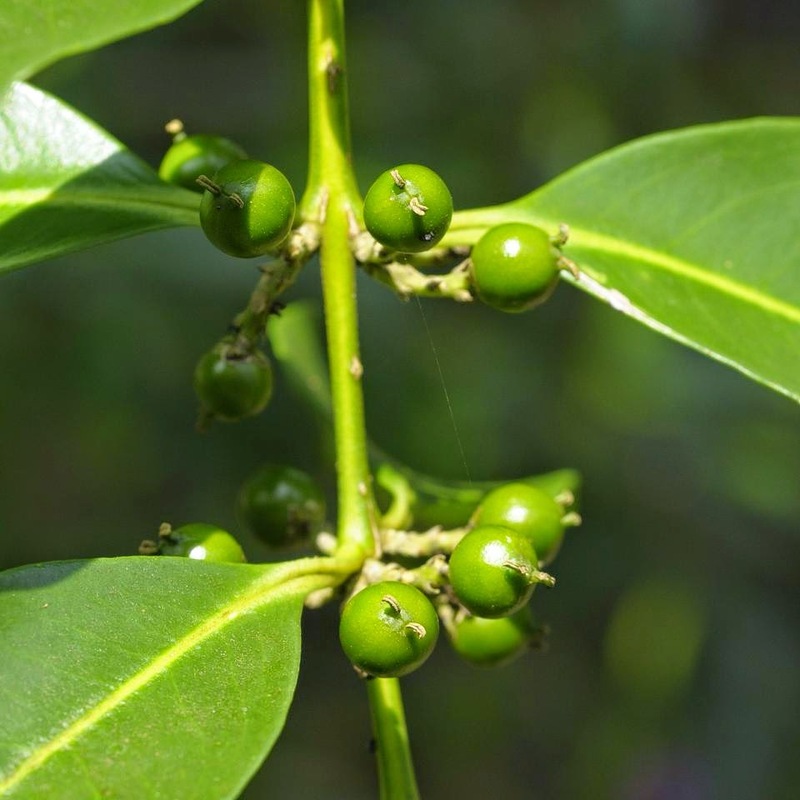 The palynological evidence and the phylogenetic reconstruction support the contention that this new species belongs to the genus Buxus. 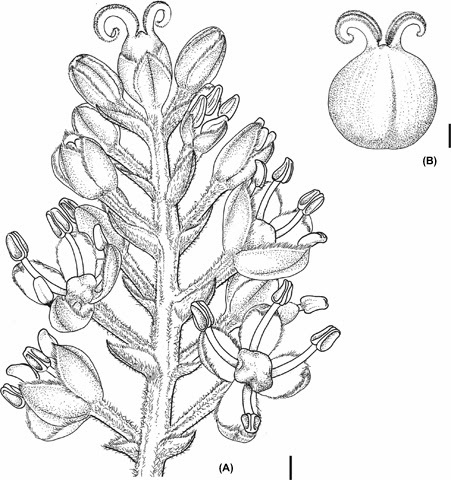 The morphological diversity of reproductive organs in the Buxaceae, in relation to this new species, is briefly discussed. Buxus sirindhorniana W. K. Soh, M. von Sternburg, Hodk. & J. Parn. Holotype of Buxus sirindhorniana sp. nov., Hennipman 3194 (BKF). • A new turtle taxa, Eodortoka morellana gen. et sp. nov. is proposed here. 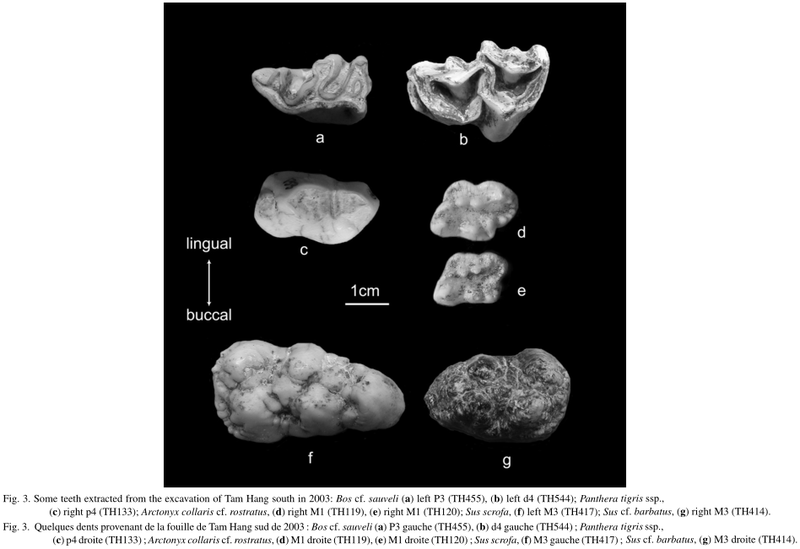 • The new taxon comes from the Aptian of the Spanish Arcillas de Morella Formation. • It is the only nominated dortokid prior to the uppermost Cretaceous. • It shows several primitive characters not shared with the so far described dortokids. Dortokidae is a relatively poorly-known clade of Pan-Pleurodira, exclusively recognized in Europe. It is the only clade of Laurasiatic pan-pleurodirans known in the post-Jurassic record. Its presence has been recognized in several locations and ages. However, only two nominated valid taxa have been described so far: the western European Upper Cretaceous Dortoka vasconica, and the Romanian late Paleocene Ronella botanica. A new dortokid is studied here, Eodortoka morellana gen. et sp. nov. This new taxon is the oldest nominated dortokid, coming from the lower Aptian (Lower Cretaceous) of the Spanish town of Morella. 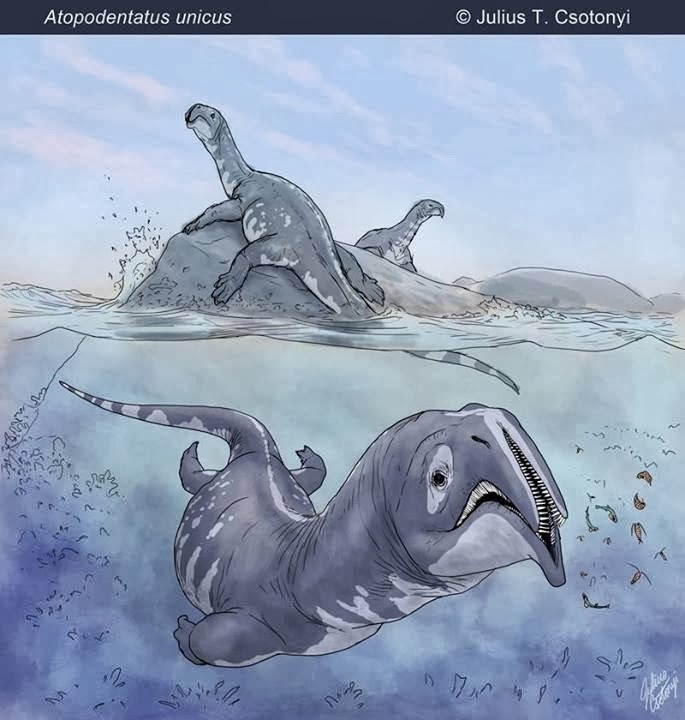 It shows several primitive characters not shared with the so far described dortokids, such as the presence of mesoplastra and the absence of overlap of the second pair of pleural scutes onto the first pair of costal plates. The comparison of Eodortoka morellana gen. et sp. nov. with other specimens allows us to recognize the presence of two members of Dortokidae in the Iberian Lower Cretaceous record. This study shed light on the early evolution of Dortokidae, as well as on the systematic and paleobiogeography of this clade. 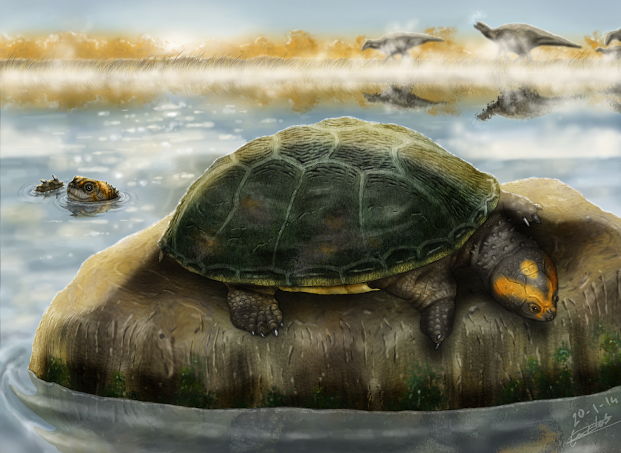 New mesozoic turtle Eodortoka morellana found in Morella, Castelló, Maestrazgo Basin, Iberian Range, Spain. Eodortoka morellana, gen. et sp. nov.
Etymology. The generic name is composed by the terms Eo-, Greek for dawn, representing the oldest named genus of Dortokidae; and -dortoka, basque for turtle, the name of the type genus of this clade. The specific name refers to Morella, the town where the Mas de la Parreta quarry is located. 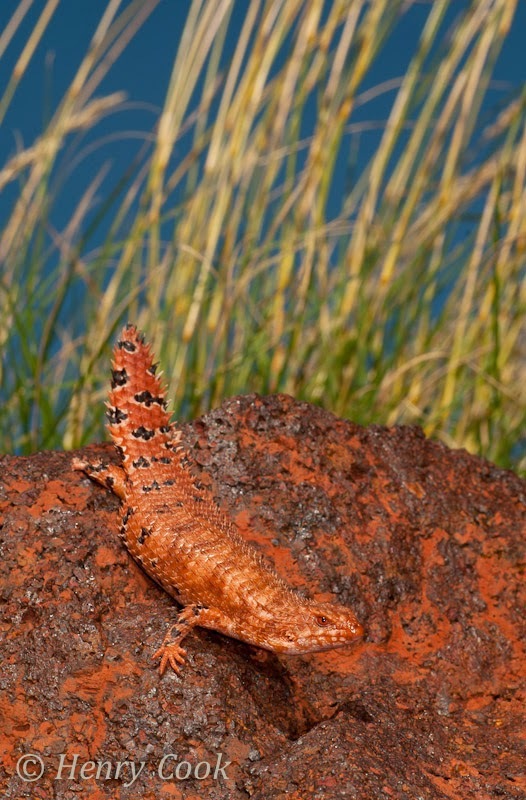 KEYWORDS: new species, Egernia, skink, Australia, mitochondrial DNA. Maryan B, Oliver PM, Fitch AJ and O'Connell M. 2014. 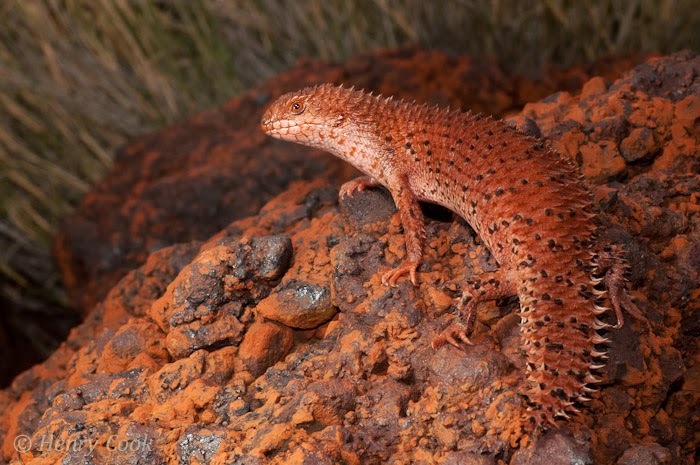 Molecular and Morphological Assessment of Varanus pilbarensis (Squamata: Varanidae), with a description of a new species from the southern Pilbara, Western Australia. Zootaxa. 3768(2): 139-158. As humans continue to explore the last uncharted regions of the planet, discoveries of previously unknown species of large vertebrates have become infrequent. Here, we report on the discovery of a spectacular new species of giant, secretive, frugivorous, forest monitor lizard (Genus: Varanus) from the forests of the northern Philippines. Using data from morphology and mitochondrial and nuclear DNA sequences, we demonstrate the taxonomic distinctiveness of this new 2 m long species and provide insight into its historical biogeography and systematic affinities. 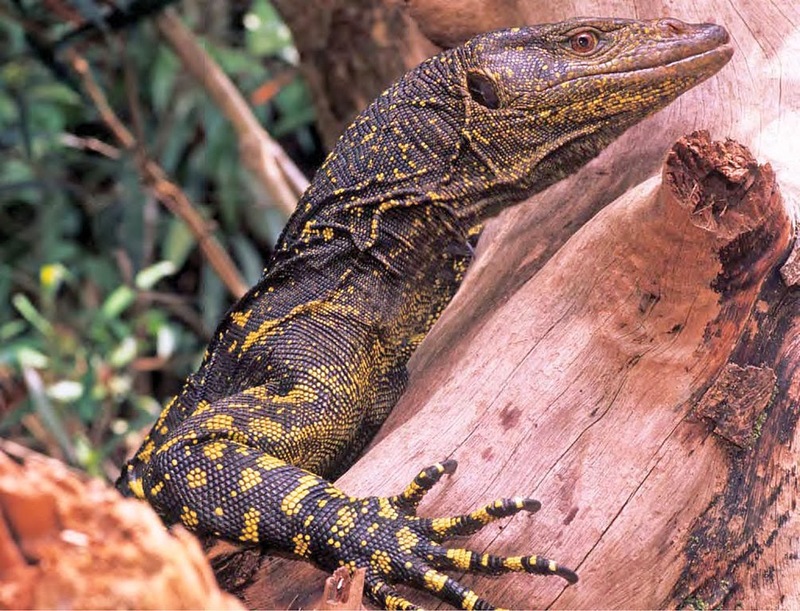 Our molecular phylogenetic analyses indicate that the new species is closely related to Varanus olivaceus (from southern Luzon and nearby islands), but it differs from this and other varanids with respect to characteristics of scalation, colour pattern, body size, anatomy of the reproductive organs and genetic divergence. 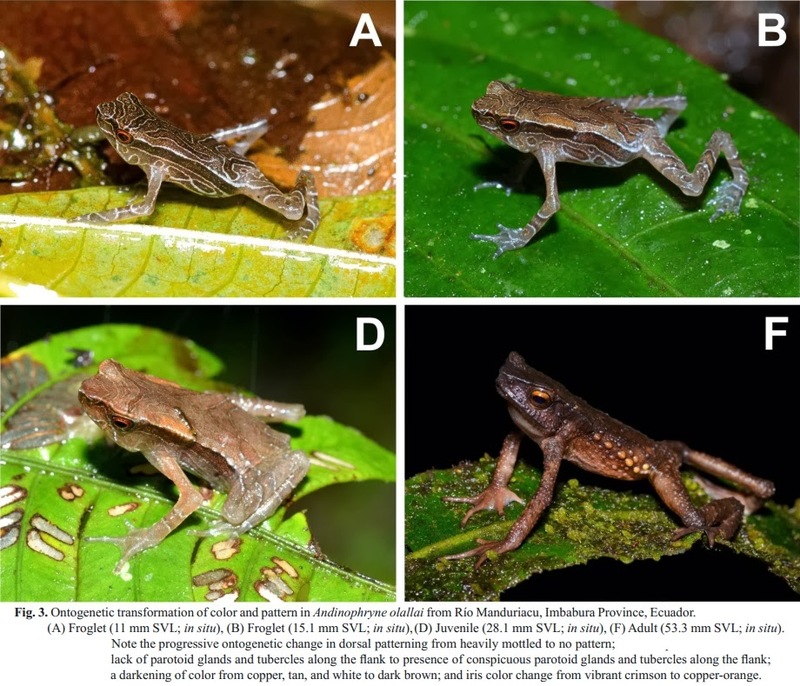 The new species appears to be restricted to forests of the central and northern Sierra Madre mountain range; it is separated from the range of V. olivaceus by a more than 150 km stretch that includes at least three low-elevation river valley barriers to dispersal. 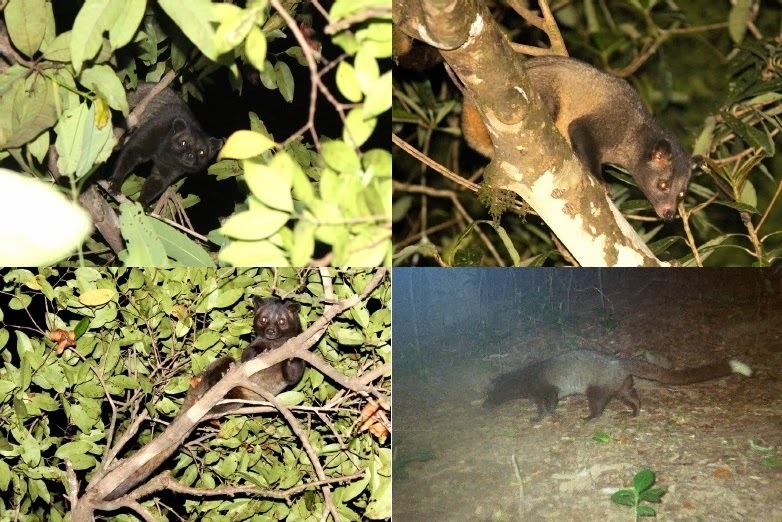 This discovery identifies a seldom-perceived biogeographic boundary and emphasizes the need for continued biodiversity research in the megadiverse conservation hotspot of the Philippines. 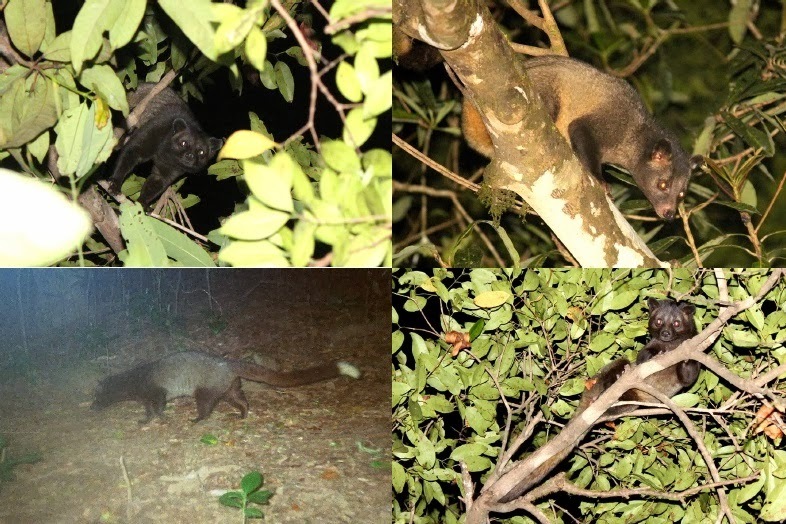 It is anticipated that the new species will serve as an important flagship species for conservation efforts aimed at preserving the remaining forests of northern Luzon. Etymology: The specific epithet is derived from bitatawa, the Agta tribespeoples' common name for the new species. Varanus bitatawa (KU 322188) from Barangay Dibuluan, San Mariano. Luke J. Welton, Cameron D. Siler, Daniel Bennett, Arvin Diesmos, M. Roy Duya, Roldan Dugay, Edmund Leo B. Rico, Merlijn Van Weerd and Rafe M. Brown. 2010. 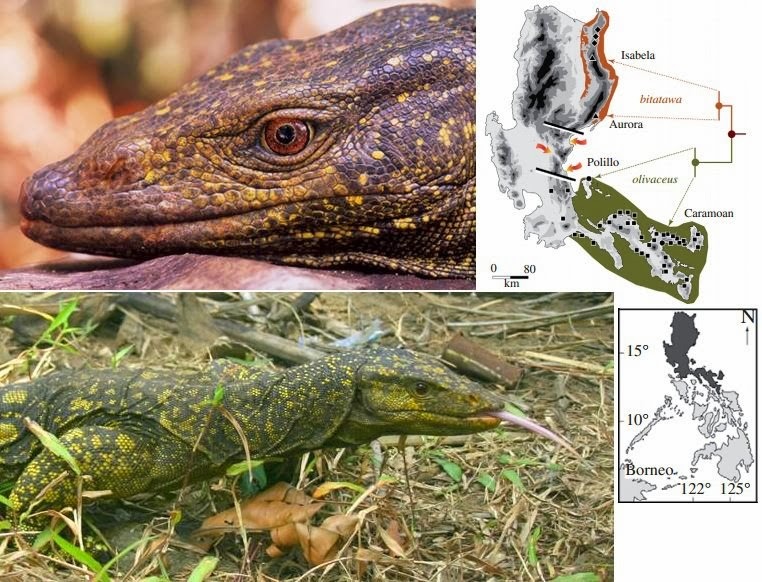 A Spectacular New Philippine Monitor Lizard reveals a Hidden Biogeographic Boundary and a Novel Flagship Species for Conservation. Biology Letters. 6 (5): 654–658. doi: dx.doi.org/10.1098/rsbl.2010.0119. Brown R, Siler C, Oliveros C, Welton L, Rock A, Swab J, Van Weerd M, van Beijnen J, Rodriguez D, Jose E, Diesmos A 2013. 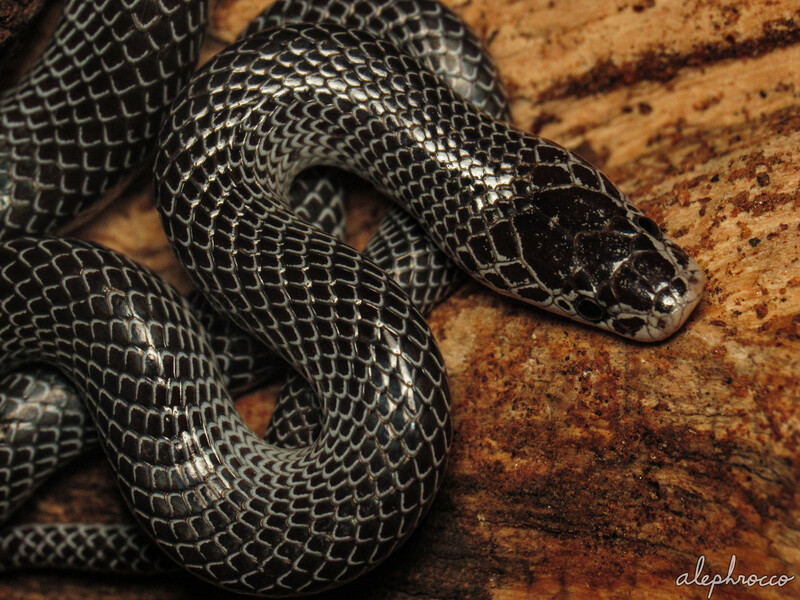 The amphibians and reptiles of Luzon Island, Philippines, VIII: The herpetofauna of Cagayan and Isabela Provinces, northern Sierra Madre Mountain Range. ZooKeys. 266: 1. DOI: dx.doi.org/10.3897/zookeys.266.3982. 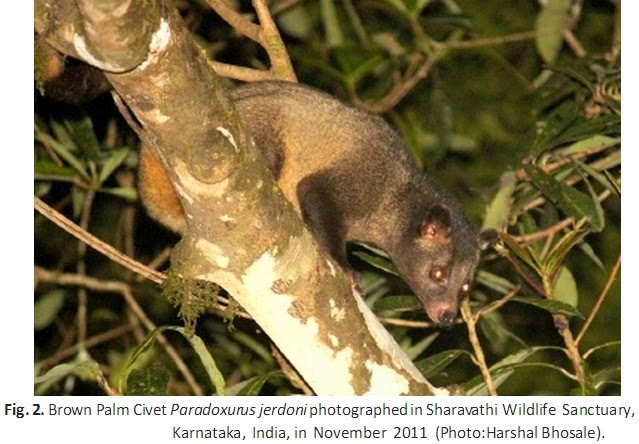 Brown Palm Civet Paradoxurus jerdoni is a small carnivore endemic to the Western Ghats, India. It occurs throughout the south-ern Western Ghats, from Achankovil Reserved Forest (Kerala) to the Bhagwan Mahaveer Wildlife Sanctuary (Goa), but until now was not recorded in the northern Western Ghats, north of the state of Goa. Two records from the state of Maharashtra extend its known range north by about 200 km: a photograph near Amboli, and a sighting even further north in Chandoli National Park. The forest of Amboli is structurally connected to the Bhagwan Mahaveer Wildlife Sanctuary in Goa, but connectivity with Chandoli National Park is now severely limited for this forest-dwelling small carnivore (see p. 39 for a record from 75 km further north). H. S. BHOSALE, G. A. PUNJABI and R. BARDAPURKAR. 2013. 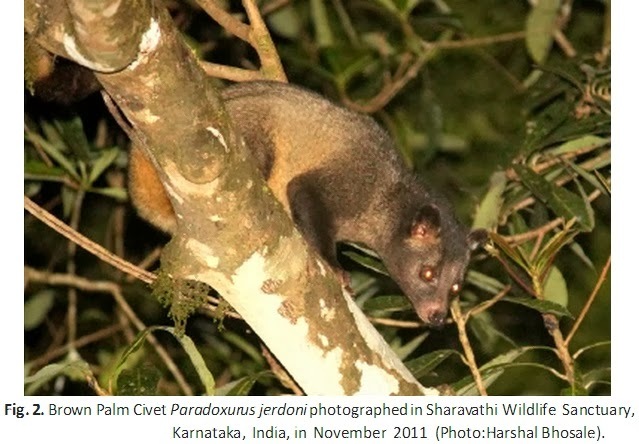 Photographic Documentation of Brown Palm Civet Paradoxurus jerdoni in Maharashtra, India, north of its known range. Small Carnivore Conservation. 49: 37–39. 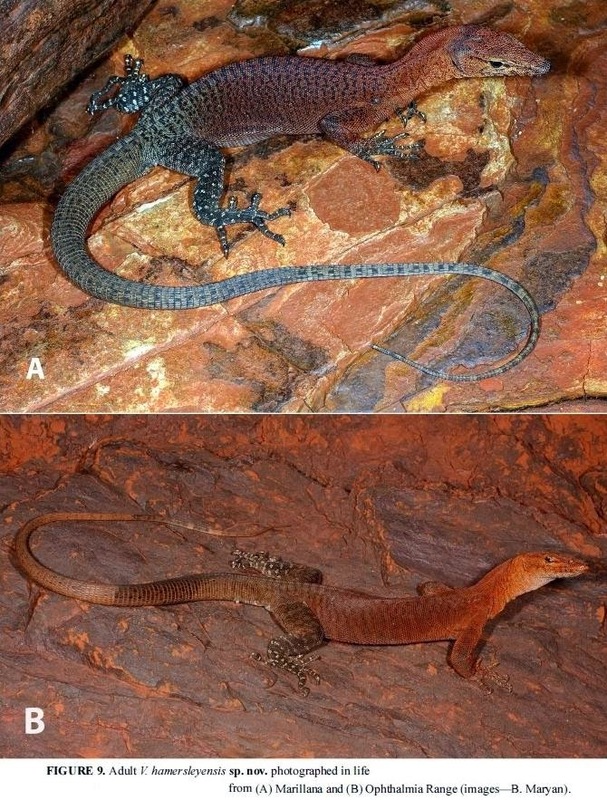 between its parental species, L. nycthemera (A) and L. edwardsi (C). 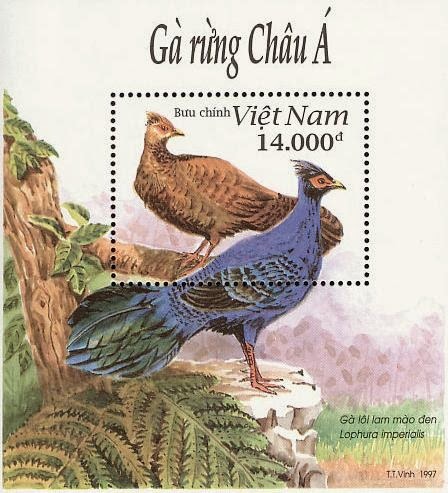 The imperial pheasant Lophura imperialis was described in 1924 from a captive pair that was obtained in Vietnam, and that became the sole founders of a captive line in France. Always considered a highly endangered and mysterious species, and despite concerted searches, L. imperialis was not found again in the wild until one was trapped in 1990, and the captive population gradually died out. Its status as a distinct species was unquestioned until the late 1990s when the possibility of a hybrid origin was raised. To elucidate the taxonomic status of L. imperialis, we studied all the existing museum specimens, carried out captive hybridization experiments, and analysed mitochondrial DNA and microsatellites. 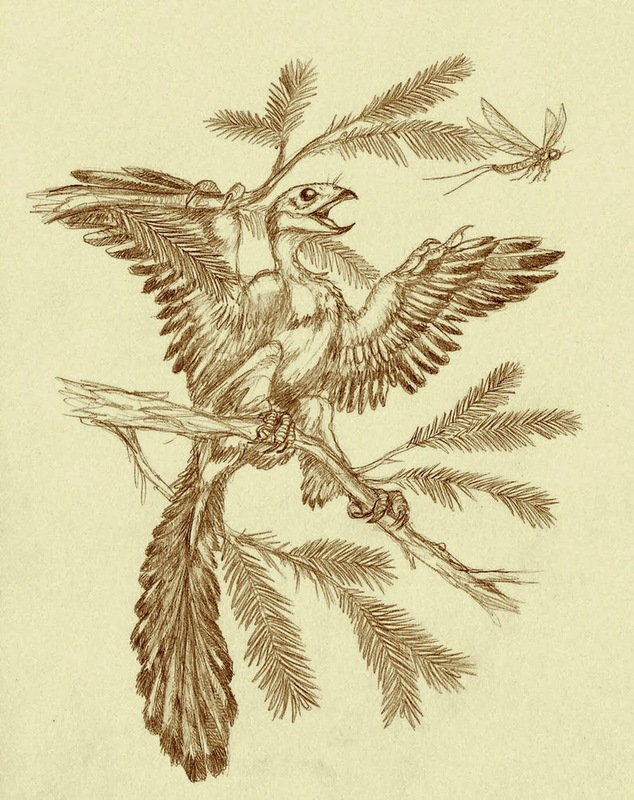 All these lines of evidence demonstrate congruently and conclusively that L. imperialis is an occasional hybrid between silver pheasant L. nycthemera and Edwards's pheasant L. edwardsi, with the 1990 bird probably being a hybrid between L. nycthemera and Vietnamese pheasant L. hatinhensis. Thus L. imperialis has no taxonomic standing and should be removed from lists of species of conservation concern. However, hybridization with L. nycthemera may pose a further threat to the survival in the wild of the endangered L. edwardsi and L. hatinhensis. A. Hennache, P. Rasmussen, V. Lucchini, S. Rimondi, E. Randi. 2003. 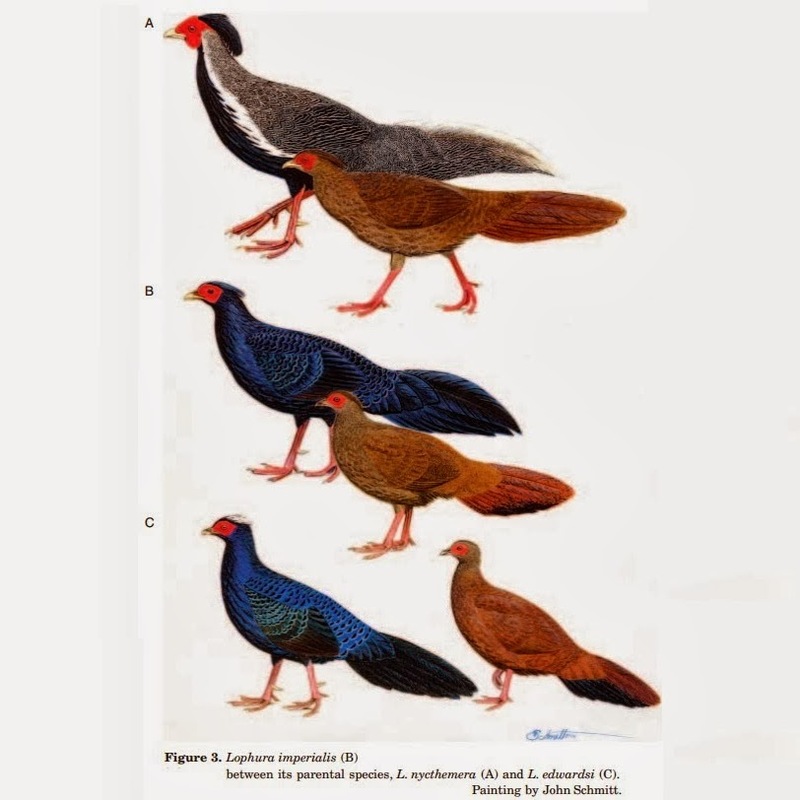 Hybrid Origin of the Imperial Pheasant Lophura imperialis (Delacour and Jabouille, 1924) demonstrated by Morphology, Hybrid Experiments, and DNA Analyses. Biological Journal of the Linnean Society. 80(4); 573-600. Pic. 1. The holotype of Bugun Liocichla Liocichla bugunorum sp nov. It was photographed on 25.v.2006 at Lama Camp just outside the boundaries of Eaglenest Wildlife Sanctuary, Arunachal Pradesh, India. The overall colour of the bird is olive which tends to look greener in the shade (see Pic. 6) and neutral grey in bright light (a camera flash for instance). This is probably a male bird. 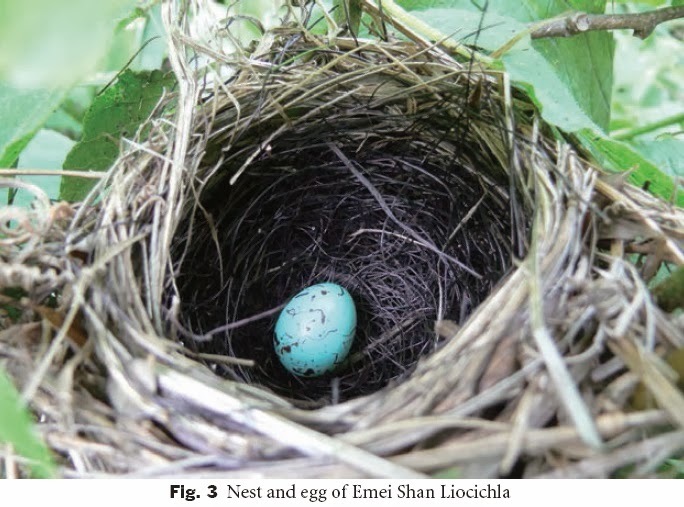 This paper describes a new bird species of the genus Liocichla discovered near Eaglenest Wildlife Sanctuary in western Arunachal Pradesh, India. While the taxon most closely resembles L. omeiensis, an endemic of China, the many points of difference in plumage, size and vocalisations indicate a new species. The known population is very small and only three (breeding?) pairs responded to song play back in May 2006. The plumage and the vocalisations are distinctive and therefore the paucity of records suggests a small and highly localized population. Bugun Liocichla Liocichla bugunorum sp. nov. Evaluating the relative status of taxa is not easy (Helbig et al. 2002), especially when all other congeners are allopatric. Visually and aurally, L. bugunorum is most similar to L. omeiensis but there are many points of difference between them: in vocalisations, ten features of plumage, and size (Table 1). While future surveys may extend their ranges towards each other the balance of probability of finding intermediate populations, showing a cline in all the above differences is low. Furthermore, L. bugunorum differs from L. omeiensis and from L. steerii in its plumage as much as the latter differ between themselves. 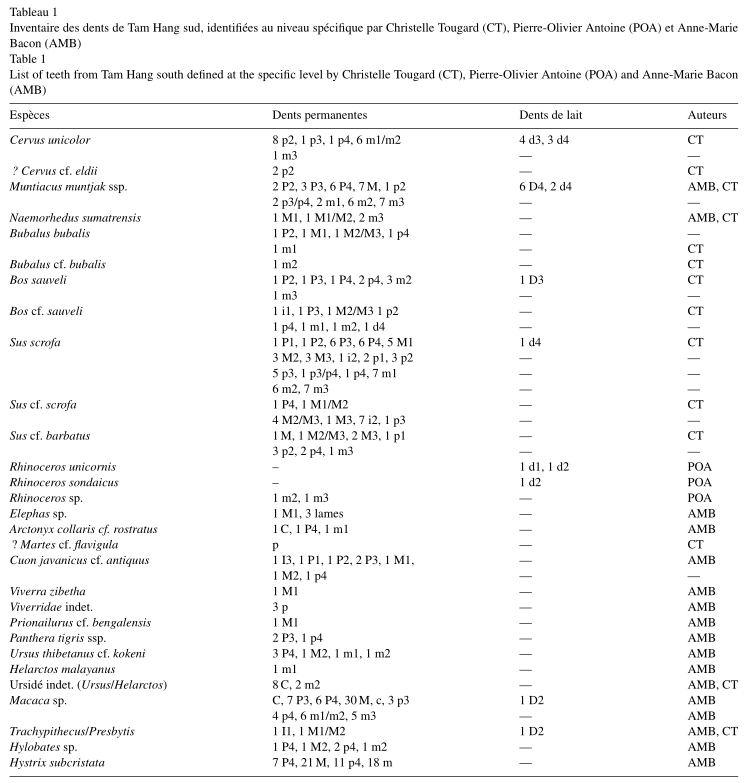 L. omeiensis was elevated from subspecies (of L. steerii) to species (Cheng 1987). These factors make a strong case for assigning specific rank to the Eaglenest taxon. Given the very small known population, I felt it would be inappropriate to collect a specimen, especially as that would have affected one of only three known (breeding?) pairs. So only some feathers which had worked loose (after the photographs were taken) were collected as type material. Should the census planned for next season indicate a larger population, steps will be taken to obtain a full specimen after seeking permission from the appropriate authorities. 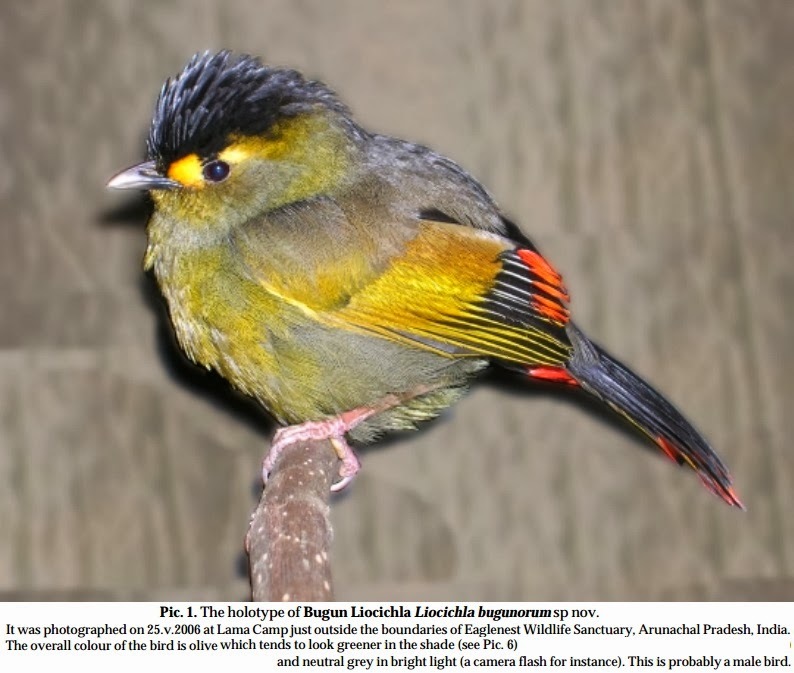 bugunorum [= (Liocichla) of the Buguns] is the invariable genitive plural of the latinised noun Bugunus. Athreya, Ramana. 2006. 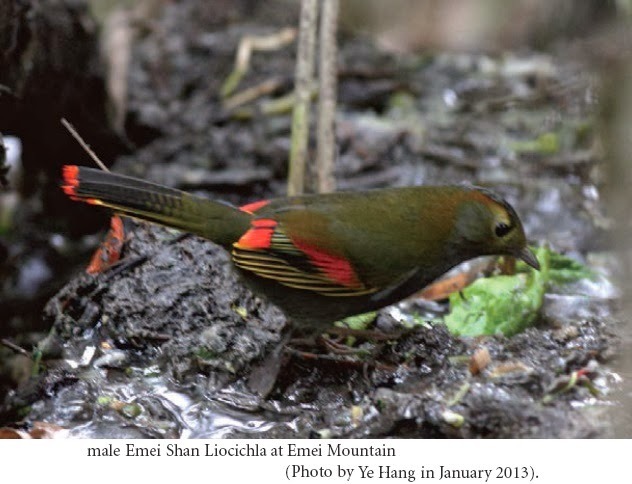 A New Species of Liocichla (Aves:Timaliidae) from Eaglenest Wildlife Sanctuary, Arunachal Pradesh, India. Indian Birds. 2(4): 82-94. A. Townsend Peterson and Monica Pape. 2006. Potential geographic distribution of the Bugun Liocichla Liocichla bugunorum, a poorly-known species from north-eastern India. Indian Birds. 2 (6): 146–149. 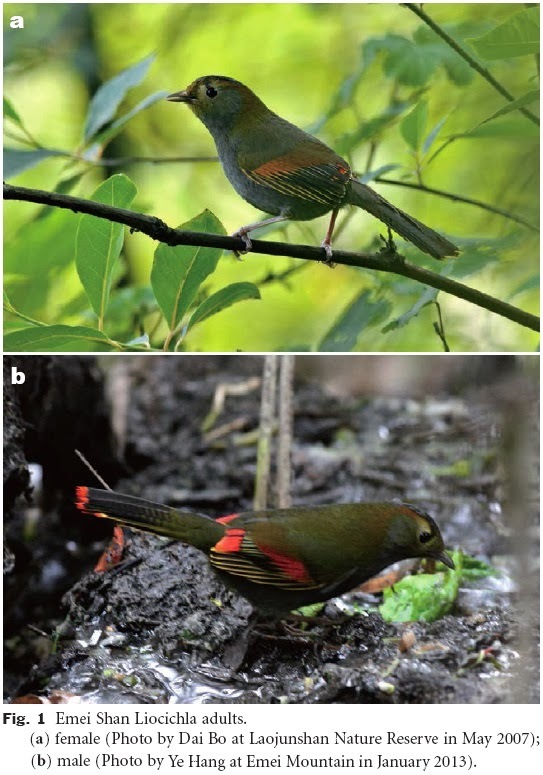 Endemic to China, the Emei Shan Liocichla (Liocichla omeiensis) is considered globally vulnerable by the IUCN because of its small, declining population and fragmented range. The species has been recorded in only a few mountainous forests in south-central Sichuan and in the extreme northeast of Yunnan Province. 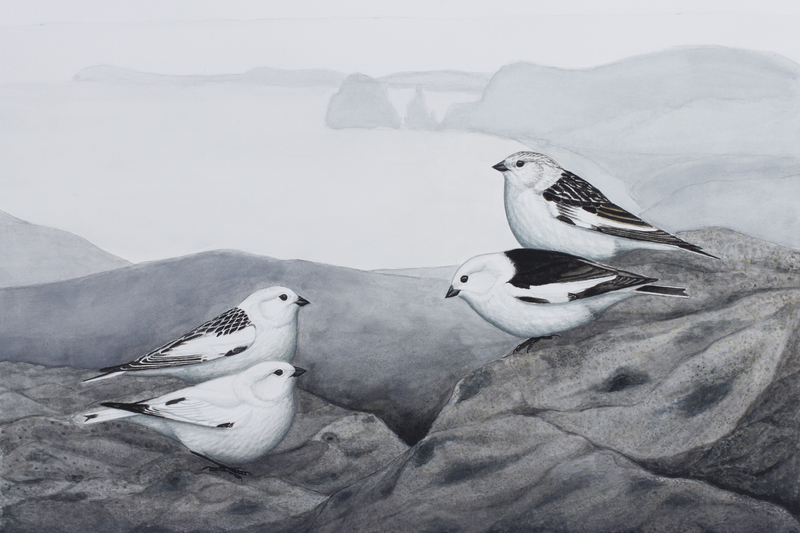 We summarized the basic eco-biology information on its habitat, breeding, winter habits and behavior, voice, population status, research and conservation. Fig. 1. 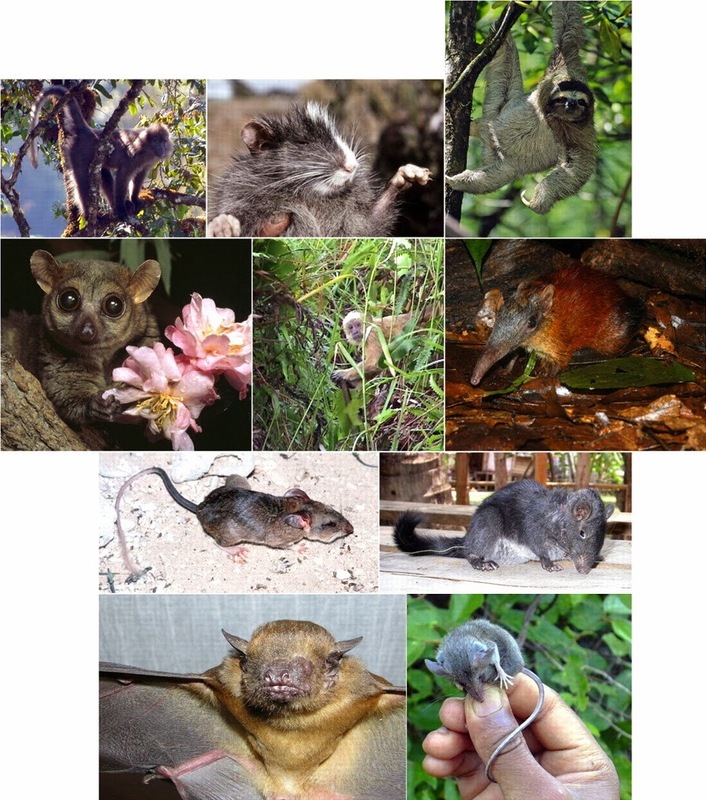 Examples of new species of mammals discovered since 1993. 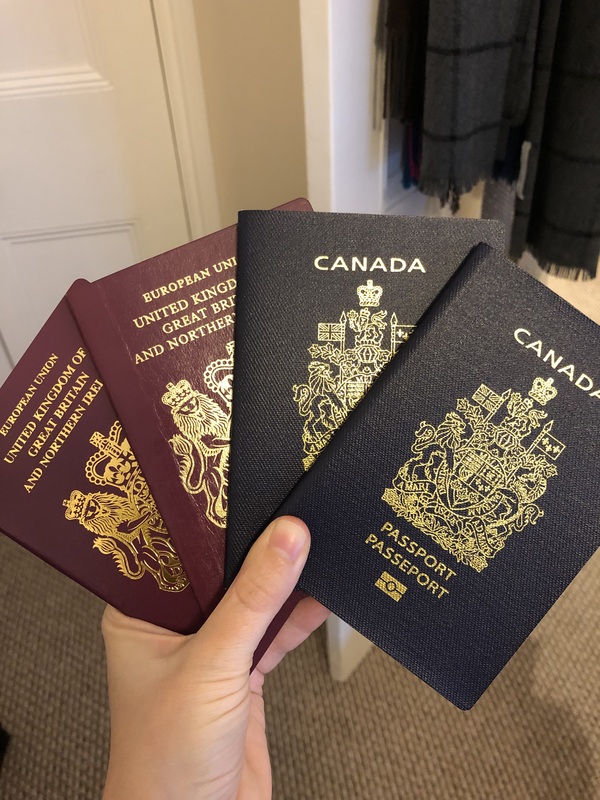 From top left to bottom right, Rungwecebus kipunji. Cuscomys ashanika. Bradypus pygmaeus. Mirza zaza. Cebus queirozi. Rhyncocyon udzunwensis. 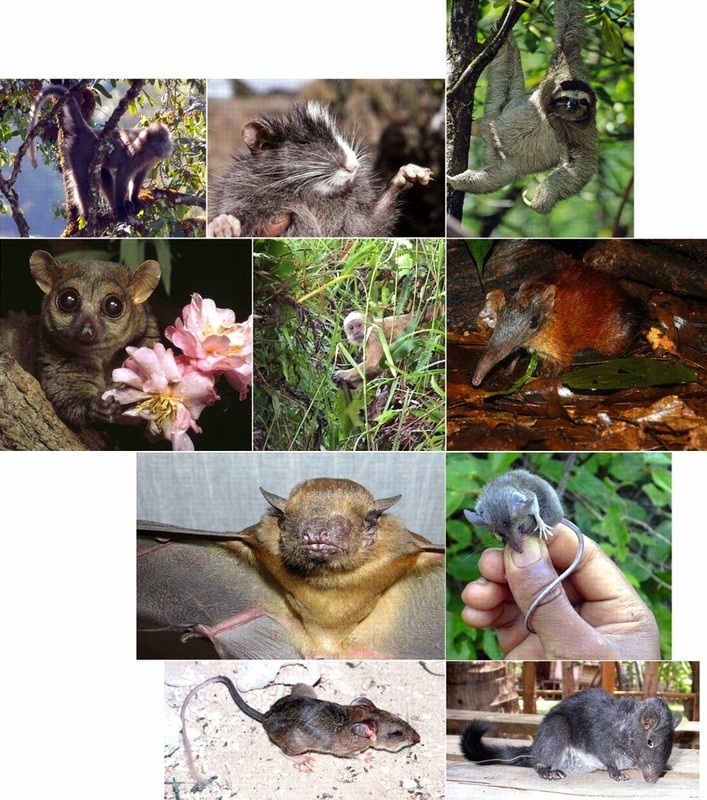 In light of recent discoveries of many new species of poorly-studied organisms, we examine the biodiversity of mammals, a well known “charismatic” group. Many assume that nearly all mammal species are known to scientists. We demonstrate that this assumption is incorrect. 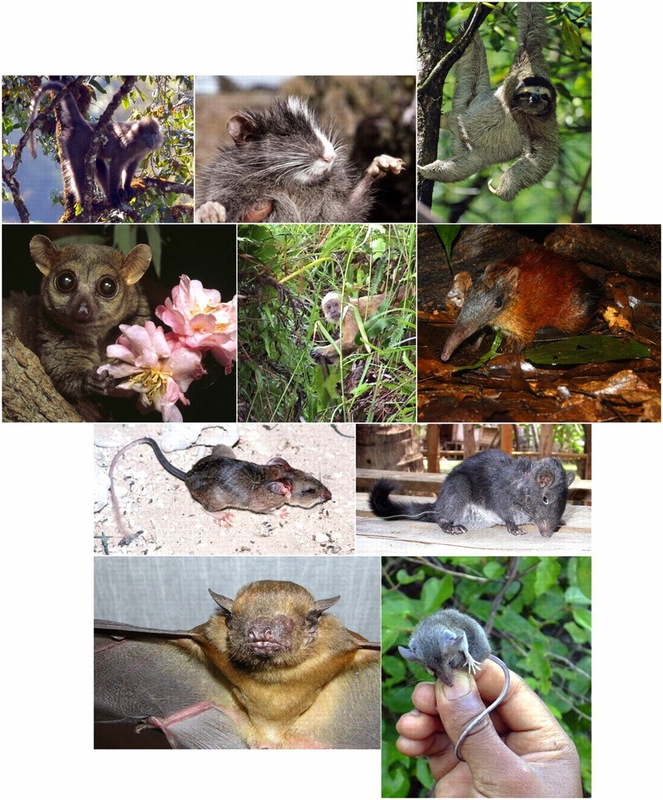 Since 1993, 408 new mammalian species have been described, ≈10% of the previously known fauna. Some 60% of these are “cryptic” species, but 40% are large and distinctive. A substantial number persist only in areas undergoing rapid habitat destruction. Our findings suggest global animal and plant species diversity is badly underestimated even in well studied taxa. 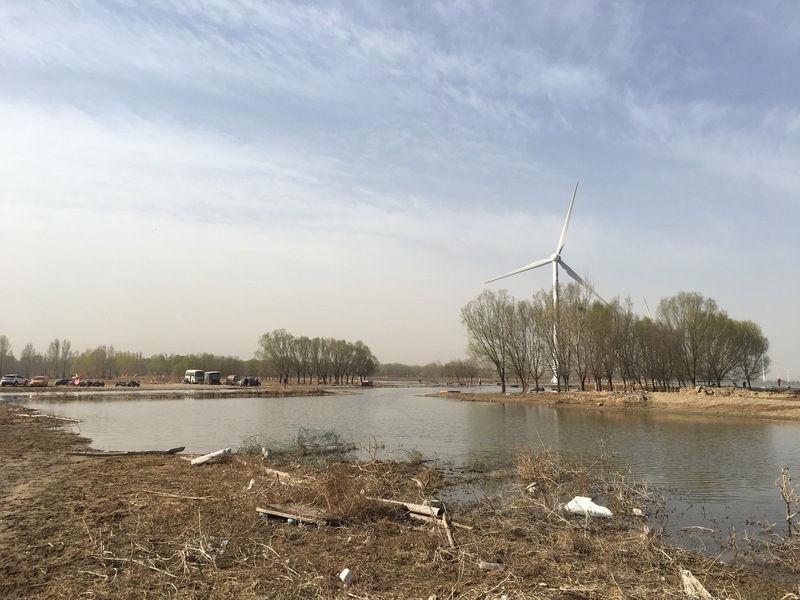 This implies even greater threats to ecosystem services and human well-being than previously assumed, and an increased need to explore, understand, and conserve Earth's living resources. Vanilla atropogon, in situ inflorescence. 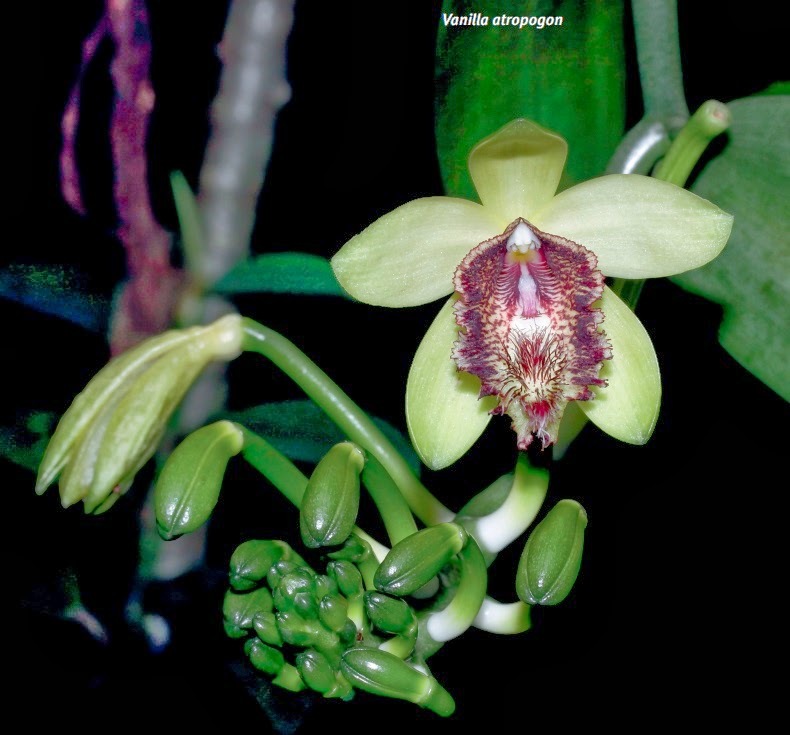 Vanilla atropogon a new species from Khanh Hoa Province, Vietnam is described. Etymology. From atro-, dark, and pogon, beard, referring to the dark, hairy lip. Distribution. Vietnam (Khanh Hoa Province). Endemic. Notes. Vanilla atropogon is perhaps most closely related to V. borneensis Rolfe (syn. V. pilifera Holttum), which has flowers that are similar in size, shape and ornamentation. In V. borneensis the patch of hairs on the mid-lobe is much denser, with hairs of almost uniform thickness (versus hairs strongly narrowing towards the apex in V. atropogon) and this patch is almost or entirely contiguous with the central patch of scales; in V. atropogon the patch of hairs and the callus-like patch of scales are well-separated; in V. borneensis the basal part of the lip is much broader and is provided with two knob-like calli, which are lacking in V. atropogon. The colour of the lip is quite different in V. borneensis: white with pink or purple veins and pink hairs. Finally, the inflorescence of V. borneensis carries 5–12 (V. atropogon: 10–23) flowers. The unusual colour of the lip of V. atropogon in combination with the bad smell of the flowers suggests that it may be pollinated by flies. Unfortunately, nothing is known about the pollinators of other Asian species, but most are likely to be bee pollinated, as has been observed in similar-looking tropical American species (Cameron, 2011). André Schuiteman. Leonid Averyanov & Romana Rybková. 2013. Vanilla atropogon, a new species from Vietnam. Orchideen. 1-1; 10-16. We report the rediscovery of Andinophryne olallai, an endangered species only known from a single specimen, collected in 1970. At the type locality, Tandayapa, Pichincha Province, numerous follow-up surveys after 1970 failed to record the species suggesting that the population is extinct. The rediscovery of A. olallai took place in 2012 at Río Manduriacu, Imbabura Province, Ecuador. 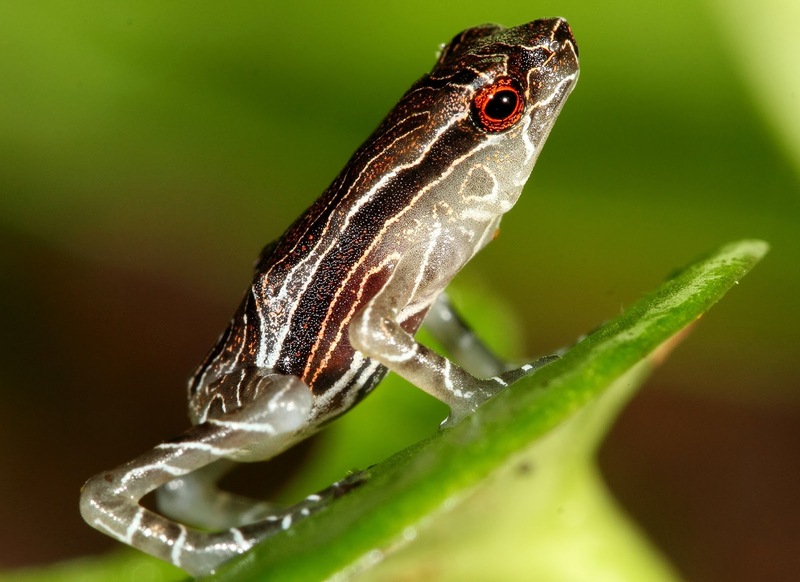 Two surveys suggest that a healthy population of A. olallai survives at the site, with observations of froglets, juveniles, and adults across numerous stream systems. However, the extent of known occupancy of the population is small (<1 sq.km.). . Further data are presented to update knowledge of the distribution, ontogeny, morphology, and conservation status of the species. The population at Río Manduriacu is surrounded by logging, mining, and hydroelectric developments that could compromise its future survival. There is an urgent need to establish a monitoring program and to protect its remaining population and habitat in the region. A baby Tandayapa Andean toad Andinophryne olallai , otherwise known as a toadlet. Biologists thought the species extinct until its recent rediscovery in a rain forest in Ecuador. Ryan L. Lynch, Sebastian Kohn, Fernando Ayala-Varela, Paul S. Hamilton, and Santiago R. Ron. 2014. Rediscovery of Andinophryne olallai Hoogmoed, 1985 (Anura, Bufonidae), an enigmatic and endangered Andean toad. Amphibian & Reptile Conservation. 8(1) [Special Section]: 1–7 (e75). 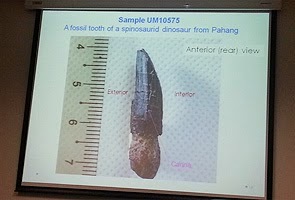 : Scientists have dug up the first known dinosaur remains in Malaysia in the form of a tooth fossil found in the rural interiors of Pahang. The tooth [Sample UM10575], is only about 23mm long and 10mm wide. The team of paleontology researchers from University of Malaya (UM) and two other Japanese institutions-- namely Waseda and Kumamoto University-- announced. Figure 1. 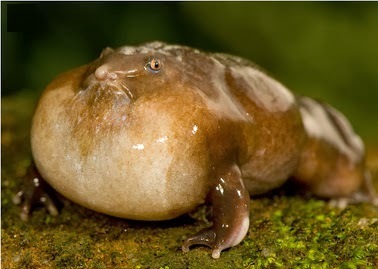 Nasikabatrachus sahyadrensis calling. Quantitative descriptions of animal vocalizations can inform an understanding of their evolutionary functions, the mechanisms for their production and perception, and their potential utility in taxonomy, population monitoring, and conservation. The goal of this study was to provide the first acoustical and statistical analysis of the advertisement calls of Nasikabatrachus sahyadrensis. Commonly known as the Indian purple frog, N. sahyadrensis is an endangered species endemic to the Western Ghats of India. As the only known species in its family (Nasikabatrachidae), it has ancient evolutionary ties to frogs restricted to the Seychelles archipelago (Sooglossidae). The role of vocalizations in the behavior of this unique species poses interesting questions, as the animal is fossorial and potentially earless and it breeds explosively above the soil for only about two weeks a year. In this study, we quantified 19 acoustic properties of 208 calls recorded from 10 males. Vocalizations were organized into distinct call groups typically composed of two to six short (59 ms), pulsatile calls, each consisting of about five to seven pulses produced at a rate of about 106 pulses/s. The frequency content of the call consisted of a single dominant peak between 1200–1300 Hz and there was no frequency modulation. The patterns of variation within and among individuals were typical of those seen in other frogs. Few of the properties we measured were related to temperature, body size, or condition, though there was little variation in temperature. Field observations and recordings of captive individuals indicated that males engaged in both antiphonal calling and call overlap with nearby calling neighbors. 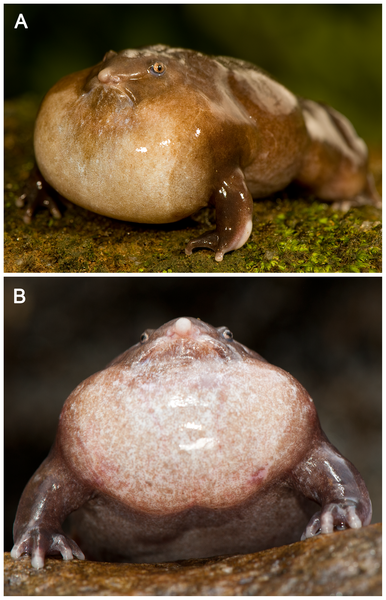 We discuss our findings in relation to previous work on vocal behavior in other fossorial frogs and in sooglossid frogs. 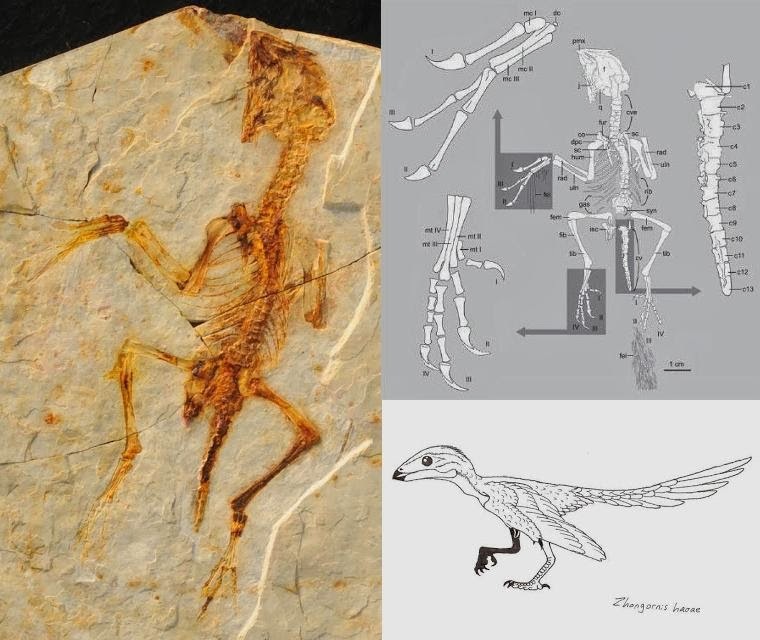 The Luoping fauna (Anisian, Middle Triassic) is probably the oldest of Triassic faunas in Guizhou–Yunnan area, China. The reptilian assemblage is comprised of ichthyosaurs, a number of sauropterygians (pachypleurosaur-like forms), saurosphargids, protorosaurs, and archosauriforms. Here, we report on a peculiar reptile, newly found in this fauna. Its dentition is fence or comb-like and bears more than 175 pleurodont teeth in each ramus of the upper and lower jaws, tooth crown is needle-like distally and blade-shaped proximally; its rostrum strongly bends downward and the anterior end of its mandible expands both dorsally and ventrally to form a shovel-headed structure; and its ungual phalanges are hoof-shaped. The specializations of the jaws and dentition indicate that the reptile may have been adapted to a way of bottom-filter feeding in water. It is obvious that such delicate teeth are not strong enough to catch prey, but were probably used as a barrier to filter microorganisms or benthic invertebrates such as sea worms. These were collected by the specialized jaws, which may have functioned as a shovel or pushdozer (the mandible) and a grasper or scratcher (the rostrum). Our preliminary analysis suggests that the new reptile might be more closely related to the Sauropterygia than to other marine reptiles. Chaohusaurus specimen with three embryos. 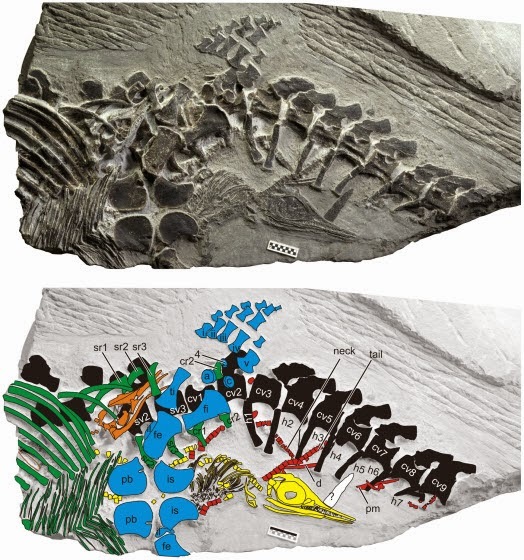 Color coding indicates: black, maternal vertebral column, including neural and haemal spines; blue, maternal pelvis and hind flipper; green, maternal ribs and gastralia. Embryos 1 and 2 are in orange and yellow, respectively, whereas neonate 1 is in red. Viviparity in Mesozoic marine reptiles has traditionally been considered an aquatic adaptation. We report a new fossil specimen that strongly contradicts this traditional interpretation. 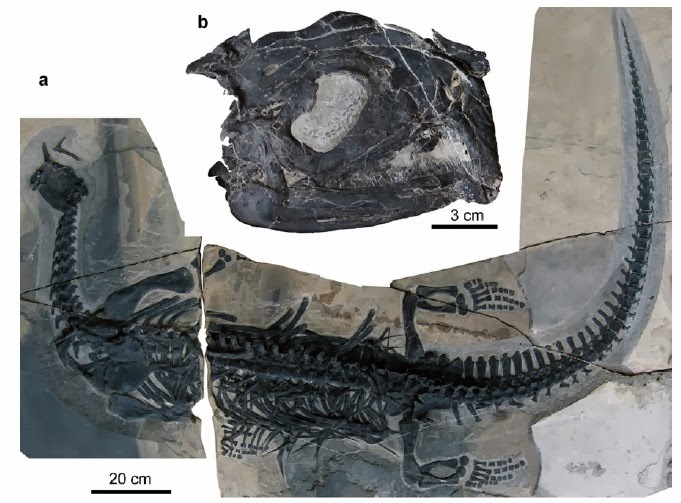 The new specimen contains the oldest fossil embryos of Mesozoic marine reptile that are about 10 million years older than previous such records. The fossil belongs to Chaohusaurus (Reptilia, Ichthyopterygia), which is the oldest of Mesozoic marine reptiles (ca. 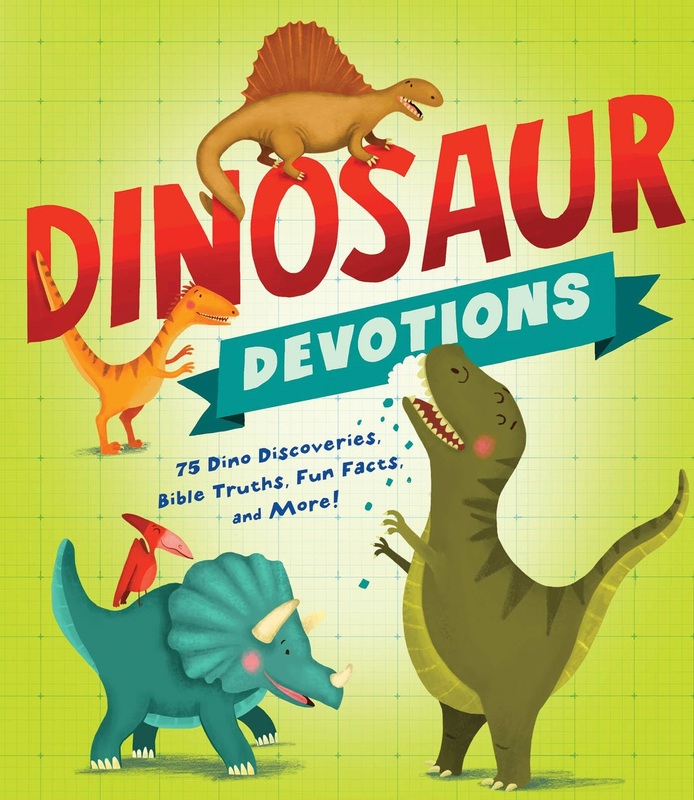 248 million years ago, Early Triassic). This exceptional specimen captures an articulated embryo in birth position, with its skull just emerged from the maternal pelvis. Its headfirst birth posture, which is unlikely to be a breech condition, strongly indicates a terrestrial origin of viviparity, in contrast to the traditional view. 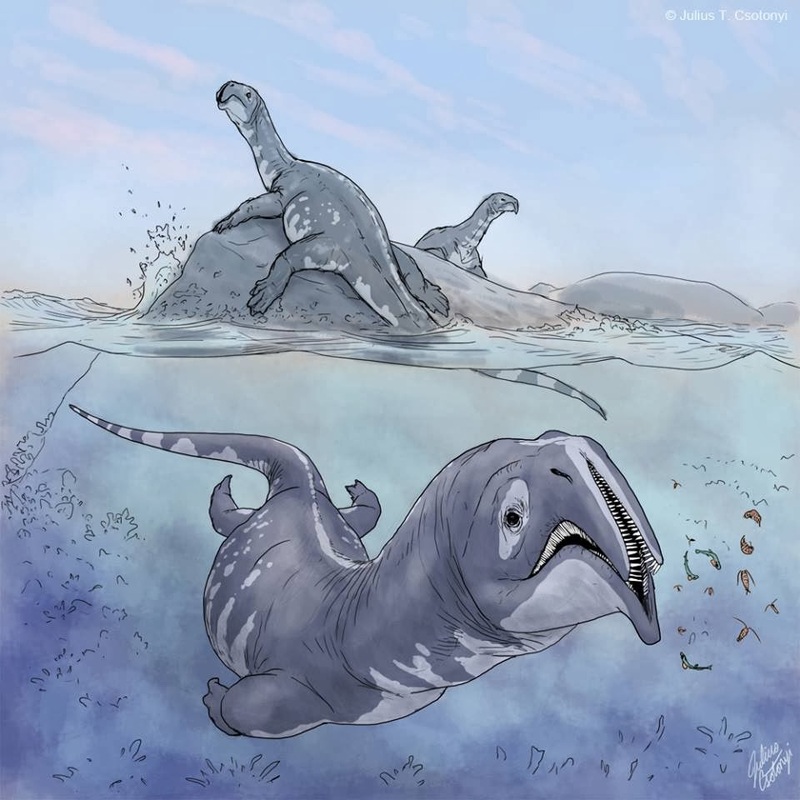 The tail-first birth posture in derived ichthyopterygians, convergent with the conditions in whales and sea cows, therefore is a secondary feature. The unequivocally marine origin of viviparity is so far not known among amniotes, a subset of vertebrate animals comprising mammals and reptiles, including birds. Therefore, obligate marine amniotes appear to have evolved almost exclusively from viviparous land ancestors. Viviparous land reptiles most likely appeared much earlier than currently thought, at least as early as the recovery phase from the end-Permian mass extinction. The birth of an ichthyosaur is preserved in a 248-million-year old fossil. The ichthyosaur was an ancient marine reptile that lived during the Mesozoic era. 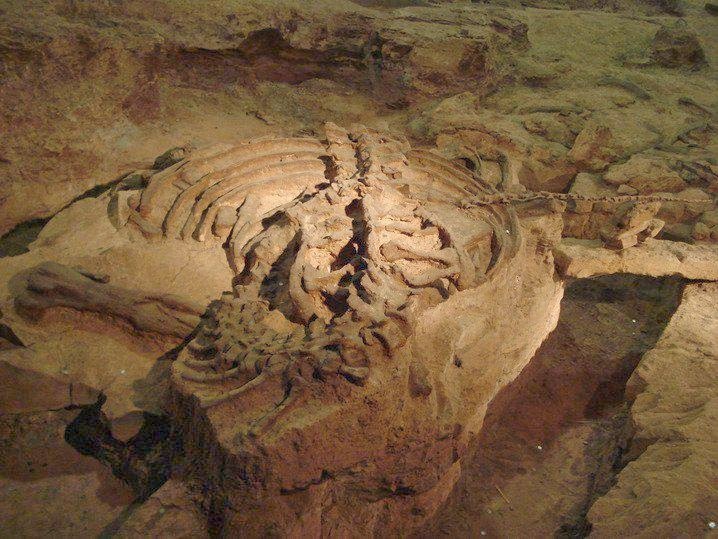 The fossil was recovered in China and appears to show a live birth. There are three embryos in the fossil. One of the embryos (colored in yellow) is exiting the pelvis, with half its body still inside its mother. Dr. Motani says in a statement, "The study reports the oldest vertebrate fossil to capture the 'moment' of live-birth, with a baby emerging from the pelvis of its mother. The 248-million-year old fossil of an ichthyosaur suggests that live-bearing evolved on land and not in the sea." 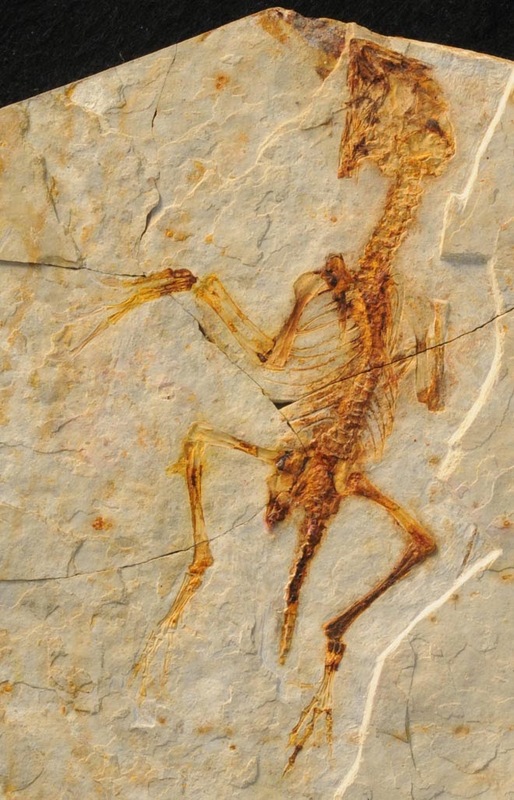 The recently described maniraptoran theropod Zhongornis haoae, known from a single juvenile specimen, was originally identified as a bird. However, morphological re-evaluation reveals striking resemblances to both Oviraptorosauria and Scansoriopterygidae. The reduced, but still long, boney tail is reinterpreted as having approximately twenty vertebrae and is reminiscent of the tails of Caudipteryx and Epidexipteryx in its proportions and morphology. Other morphological similarities with basal oviraptorosaurs include a short and deep skull, and a reduced minor digit. 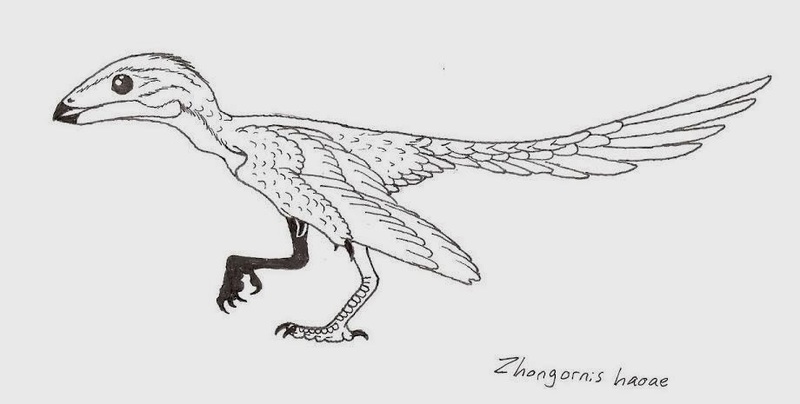 Zhongornis also differs strikingly from other Mesozoic birds, and resembles scansoriopterygids, in the size of the alular metacarpal, the proportions of the manual digits, and the lack of processes on the ischium. These similarities, together with resemblances between basal oviraptorosaurs and previously described scansoriopterygids, may point to a close relationship between these two clades. 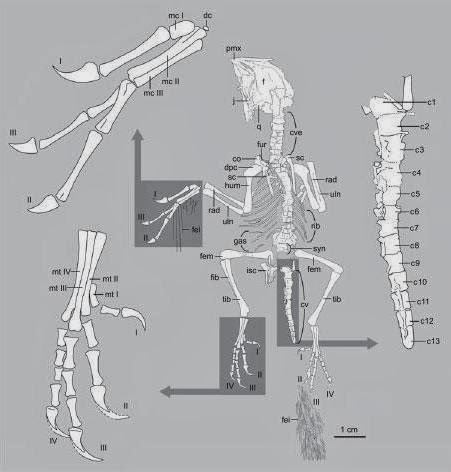 Cladistic analysis confirms a close relationship between Zhongornis and Scansoriopterygidae, which share forelimbs and pedal unguals that are elongate compared to those of oviraptorosaurs, but does not support oviraptorosaur affinities for this clade. Additional specimens will be required in order to determine both the taxonomic placement of this species and the affinities of Scansoriopterygidae, highlighting the drawbacks of basing new species on juvenile material. Holotype of Zhongornis haoae (D2455 . 6). Photographs of the slab (left; D2456) and counterslab (right; D2455) under normal light. Interpretive drawing of slab (some portions added from information contained in counterslab) with close-ups of the manus, foot and caudal vertebrae. Abbreviations: co, coracoid; cv, caudal vertebrae (c1–c13); cve, cervical vertebrae; dc, distal carpal; dpc, deltopectoral crest; dv, dorsal vertebrae; gas, gastralia; f, frontal; fei, feather impressions; fem, femur; fib, fibula; fur, furcula; hum, humerus; isc, ischium; j, jugal; mcI–III, metacarpals I–III; mtI–IV, metatarsals I–IV; pmx, premaxilla; q, quadrate; rad, radius; rib, thoracic ribs; sc, scapula; syn, synsacrum; tib, tibia; uln, ulna; I–IV, digits (manual or pedal) I–IV. Jingmai K. O’CONNOR and Corwin SULLIVAN. 2014. Reinterpretation of the Early Cretaceous maniraptoran (Dinosauria: Theropoda) Zhongornis haoae as a scansoriopterygid-like non-avian, and morphological resemblances between scansoriopterygids and basal oviraptorosaurs. VERTEBRATA PALASIATICA. 52; 3-30.